The History of the Port of Georgetown exhibit opened on May 1. The exhibit consists of a series of enlarged photographs arranged chronologically, starting soon after the Civil War, progressing through the lumber boom of 1880-1920, and after the SC Ports Authority was formed in 1942, with the multitude of cargo ships that visited Georgetown from 1950 through the 1990’s. Georgetown was established as a port in 1737, exporting deer skins, indigo, rice and lumber products to England. After the American Revolution rice, cotton and lumber products were shipped from Georgetown to the northeastern states and several foreign countries. 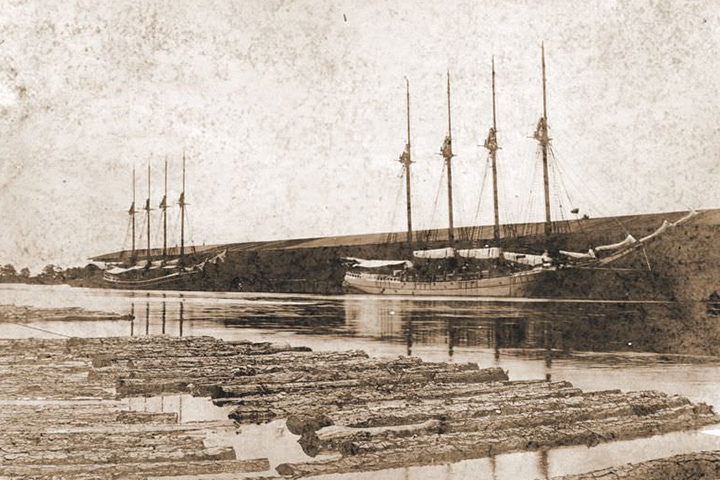 Large lumber mills in Georgetown produced pine beams and boards, naval stores, cypress shingles and crossties, and live oak framing for ships, with millions of tons of lumber products being shipped to the Northeast. After the demise of Atlantic Coast Lumber Co in 1930, there was little activity at the Port until International Paper Company built one of the largest paper mills in the world in Georgetown in 1937. Paper products and raw materials resurrected the Port. A steel mill was built at the edge of the harbor in 1969. 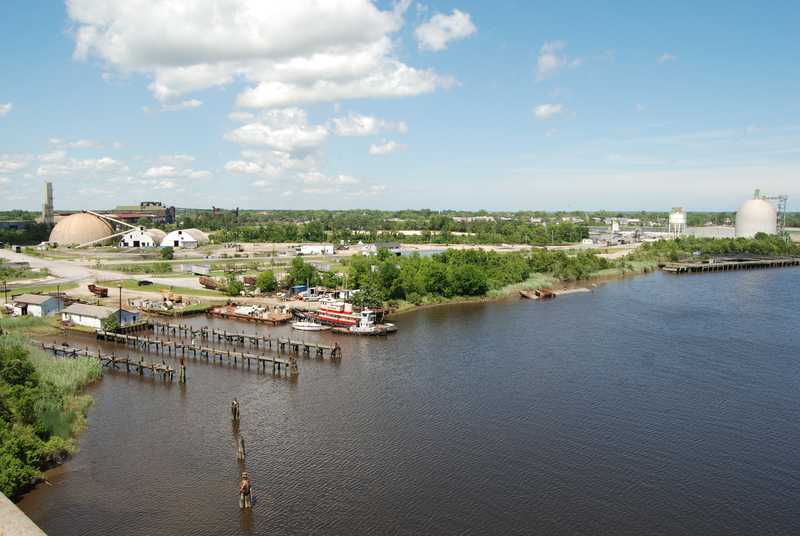 Georgetown’s port prospered during the 1970’s through 1990’s as a break bulk port, handling everything from Indian jute, Russian glass, Canadian lumber, steel, pulp and paper from IP, and many other products. With the advent of container shipping, Charleston prospered and Georgetown suffered. By the end of 2016, no ships brought cargo in or took cargo out of the Port of Georgetown. The future of Georgetown’s port is unclear but it offers a uniquely beautiful waterfront for further development. Once the renovation and enlargement of the South Carolina Maritime Museum is completed at the end of the summer of 2017, other exhibits are planned. A model of the ship HENRIETTA, the largest wooden sailing ship ever built in South Carolina, crafted by local model builders and designers, Bill Brady and Ed Scott, will be displayed along with explanations and photographs of the lumber boom that accompanied the building of the HENRIETTA. The HENRIETTA was built only 25 miles up the Waccamaw River from Georgetown. After launching in 1875, the HENRIETTA sailed all over the world until 1894, when she was wrecked in Japan. Another exhibit will center around the artifacts and ship models that well known diver Pete Manchee is donating to the museum. His artifacts were collected over many years of diving on ships that sank off of the coast of South Carolina. His collection will be accompanied by photographs and stories of other South Carolina shipwrecks that have been found all along our shores and in the rivers of South Carolina. The submarine HUNLEY, the 1730 Browns Ferry Vessel, the HARVEST MOON, the PLANTER, the Civil War ironclads and blockade runners, the Stone Fleet, the freighters, fishing vessels and pleasure yachts that sank in the waters of South Carolina will be illustrated and described.